Apple, which slashed its quarterly sales forecast last week, has reduced planned production for its three new iPhone models by about 10 per cent for the January-March quarter, the Nikkei Asian Review has reported. Market research firm Canalys estimates shipments fell 12 per cent in China last year and expects smartphone shipments in 2019 to dip another three per cent, to below 400 million for the first time since 2014. The report comes after chip suppliers Samsung and Skyworks Solutions flagged weak first-quarter chip demand for smartphones. Apple's iPhone suppliers include Taiwanese assemblers Foxconn and Pegatron. Pegatron declined to comment on the report when contacted by Reuters, while Foxconn did not immediately reply to a request for comment. Among iPhone component suppliers in Asia, South Korea's LG Display was up 0.5 per cent, while Japan Display was flat. 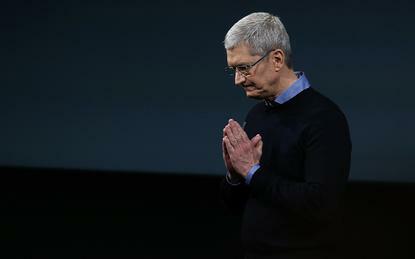 Apple CEO Tim Cook reiterated in an interview with CNBC on Tuesday that India was a major focus for Apple.